Portland Bureau of Transportation announces Musician Loading Zones outside 16 local venues. A new parking program in Portland will strike a chord for the city's plucky musicians. 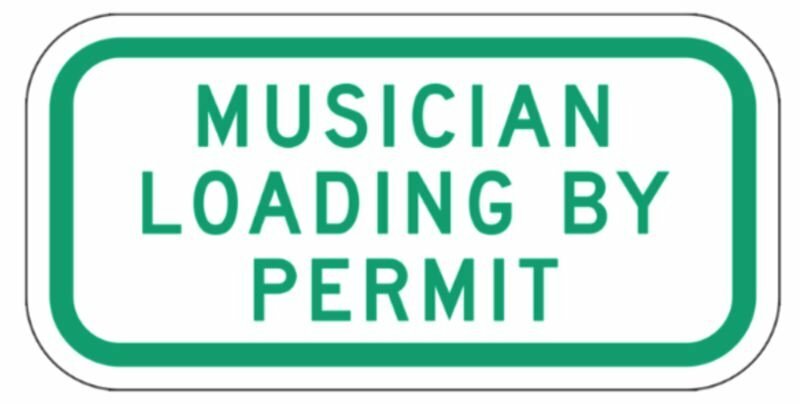 Singers and songwriters of all stripes can now apply for a free permit in order to unpack their drums, amps and the rest of the brass band at specially-marked loading zones near popular venues and dance halls. "This pilot is a no-brainer," said Commissioner Nick Fish. "We're not only taking strides to help musicians afford to live and work here, we are declaring that Portland's music scene is an essential part of who we are." The new Musician Loading Zones have been outlined adjacent to 16 clubs, including hoppin' hot-spots such as Kelly's Olympian, The Liquor Store, Dante's and the Arlene Schnitzer Concert Hall. Fourteen of the new zones are on the city's westside — where parking can be a bear — though true scenesters know that most local bands play on the eastside. Nevertheless, officials and artist advocates say the changes support the creatives who have given Portland a worldwide reputation for cool. "I am pleased to see our city address one of the unique needs and challenges of the music community: loading equipment in and out of performance venues," noted Commissioner Chloe Eudaly. "Our musician loading zone pilot program is an innovative project that I hope will serve as a model for other cities." • Attend MusicPortland meet-ups, held every first Monday of the month, at local venues. Details here. The parking zones will be overseen by the city's Bureau of Transportation. PBOT says they honor the memory of Christopher Chandler, a 34-year-old killed by a hit-and-run driver while helping his friends unload their gear on Sept. 27, 2015 outside the Goodfoot Pub & Lounge. That location, however, is not included in the pilot program.